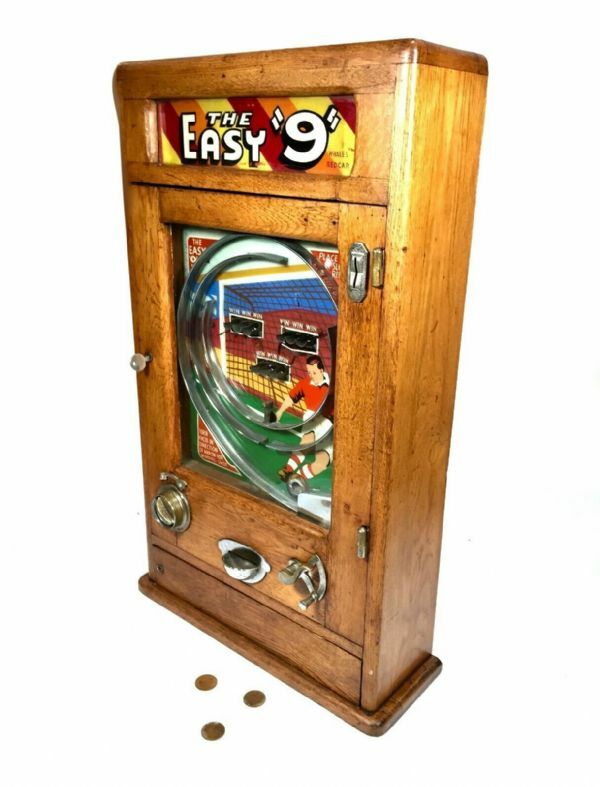 A fabulous Art Deco style penny arcade machine game. 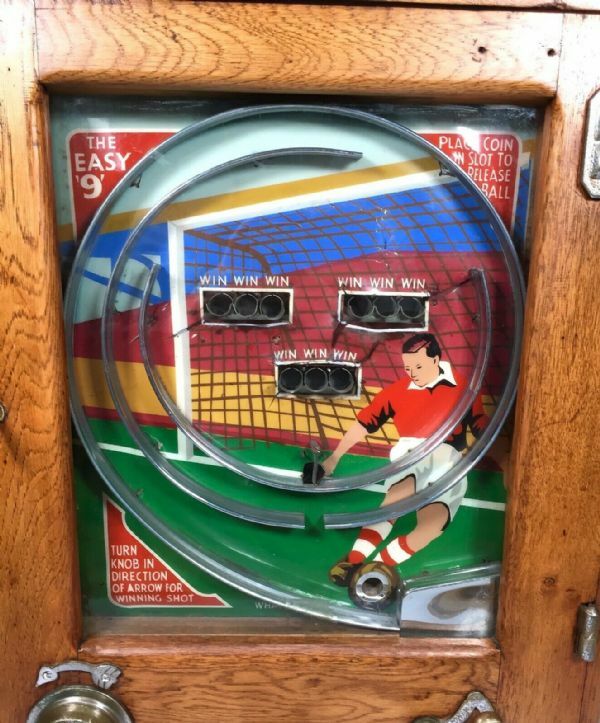 This all-Britain take on the familiar nine-win game is notable for it fashionable Art Deco style detailing with green, blue and yellow enamelled sheet metal interior which is depicting a footballer shooting at a goal. 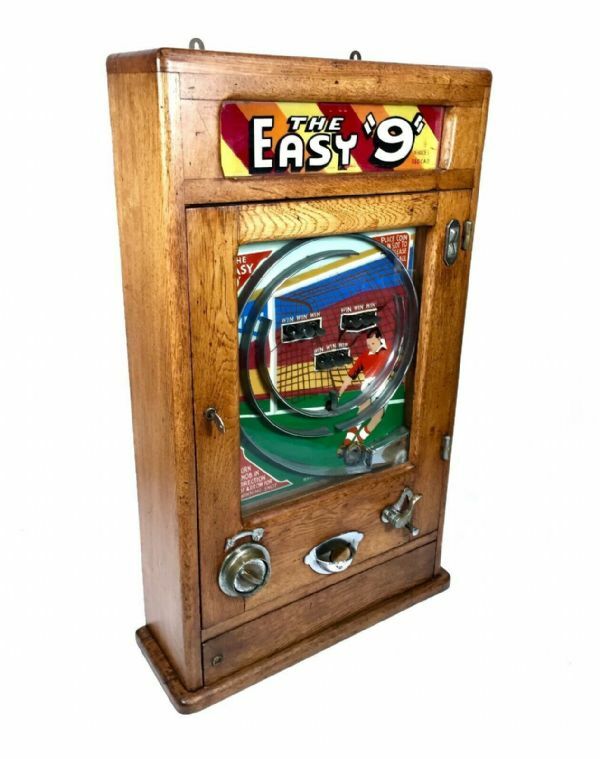 All housed in a stunning medium oak case with a lively worn patina. The game operates fully and works perfectly. 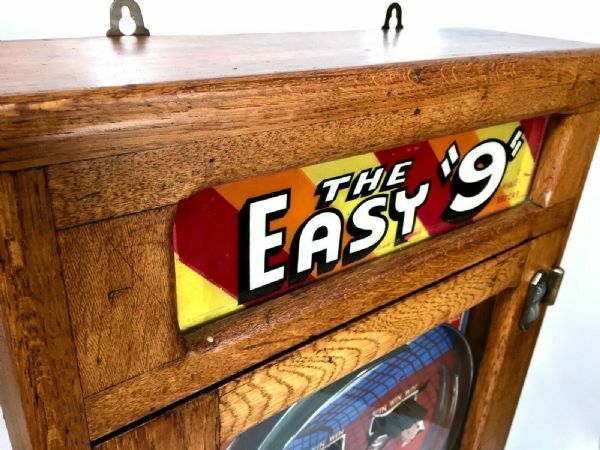 Coin and another ball bearing dispenses when you win. 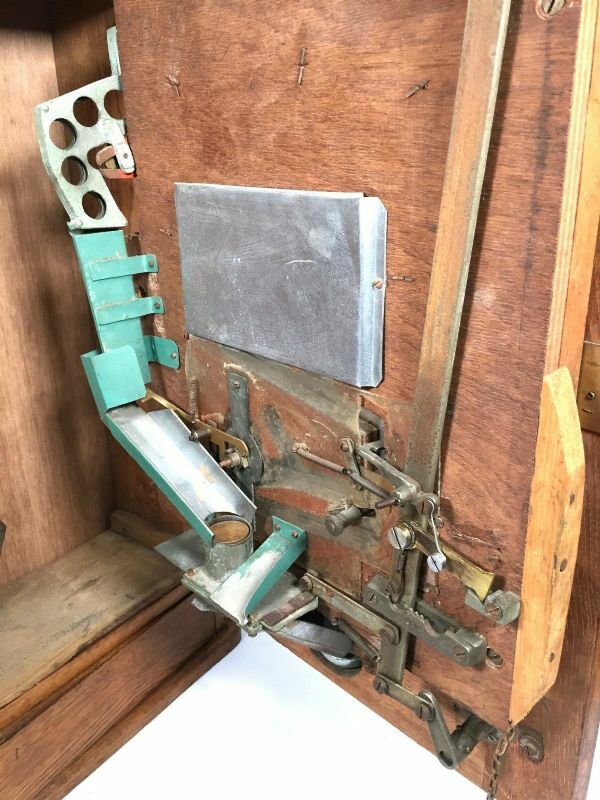 A great piece for any collection. Condition - Good. Some of the enamel sheet metal has split around the win zone ball catchers.